The housemates took part in face to face nominations yesterday, and the result was that MARC, SAM and SIMON face the public vote this week, after receiving six nominations each. It was revealed last Friday that the next housemate voted out will be fake evicted and will live in a 'secret lair' with some previous-series housemates, before re-joining the house. 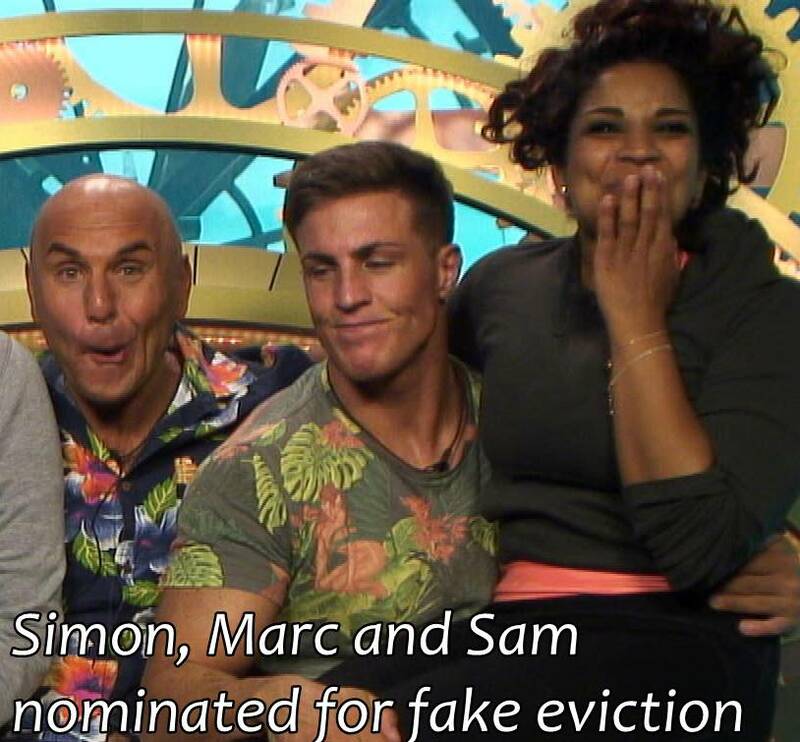 MARC, SAM and SIMON face the fake eviction! Ooooooooooooooo SIMON to be fake evicted just to see the faces when he goes back in ! That's marc in the safe house then. These nominations shock and surprise me to my very core. Public will go Marc. Predictable. But Simon would be better as HM's might sense yet another fake eviction. As expected. Marc is perfect for this twist. They should have put ALL housemates up due to Jack and co's blatant nomination talk.